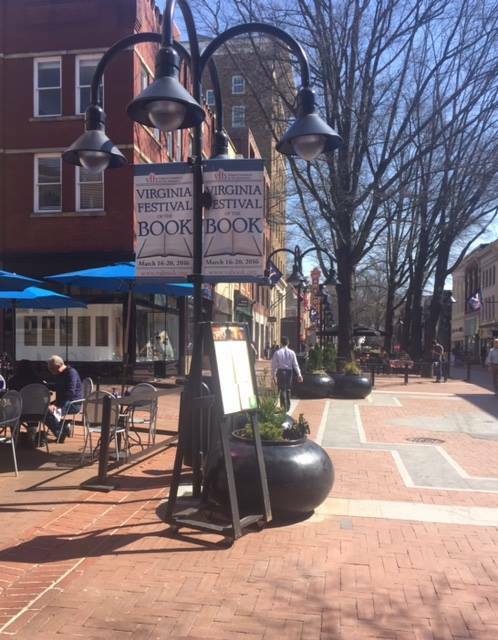 This weekend, I’ll be appearing with a number of fine authors on two panels at the Virginia Festival of the Book in Charlottesville, VA—and next week, I’ll be joining my good friend and fellow George Mason University professor Laura Ellen Scott at Upshur Street Books in Washington, DC, for the launch week of her new novel, The Juliet. See below for information and links to all of these events—promising that the second half of March will be as busy as the first! Crime Wave Panel (as panelist): “A Dash (or Splash) of Humor in Crime,” with Donna Andrews and Jack Bunker, Omni Hotel, Ballroom C, 212 Ridge McIntire Road, Charlottesville, VA • 4 p.m.
Book Launch for Laura Ellen Scott’s The Juliet, Upshur Street Books, 827 Upshur Street NW, Washington, DC • 7 p.m.